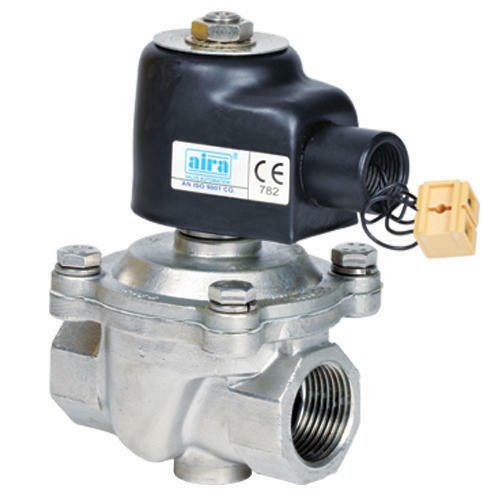 Aimed at a prosperous growth in this domain, we are instrumental in offering an excellent quality range of Low Pressure Solenoid Valve. We “Aira Euro Automation Pvt. Ltd.” has gained success in the market by manufacturing and exporting a remarkable gamut of Pneumatic Ball Valve, Pneumatic Butterfly Valve, Pneumatic Control Valve, Solenoid Valve, etc. We are a well-known and reliable company that is incorporated in the year 1996 at Ahmedabad (Gujarat, India) and developed a well functional and spacious infrastructural unit where we manufacture these products in an efficient manner. We are a renowned firm that is managed under the supervision of our mentor “Mr. Naim Memon”, and have gained huge clientele across the nation. We also export our products in Kenya, Tanzania, Zambia, Cameroon, and Uganda.